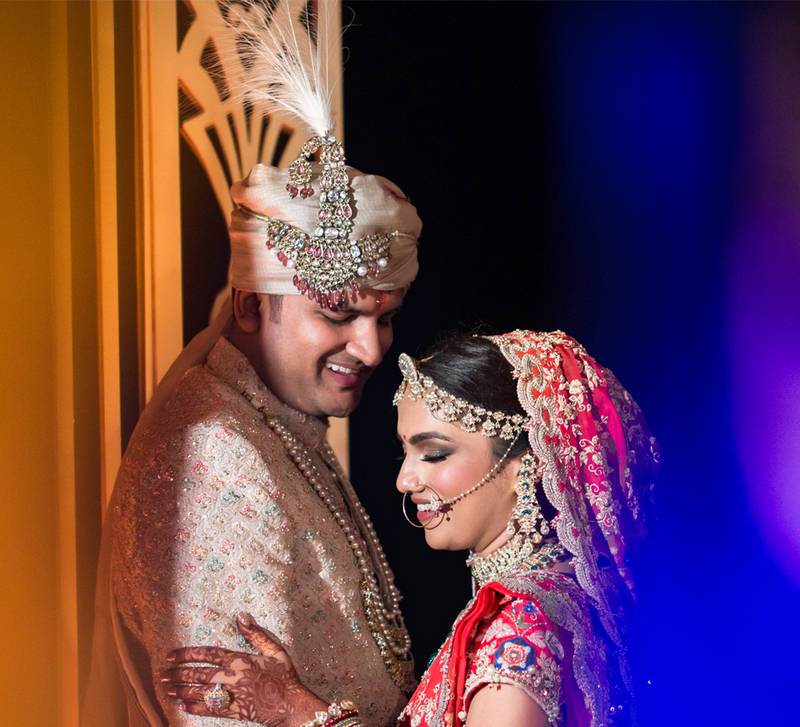 Sneha and Anirudh’s desi wedding at the opulent Taj Jai Mahal Palace in Jaipur was a mix of fun, tradition, colors, and emotions. Love stories don’t need a place or date to commence, only a moment. For Anirudh and Sneha, it was at a soiree hosted by a common friend that the universe conspired to make it happen. Soon after, the couple decided to tie the knot, WeddingSutra Favorites - Fiestro Events, and The Wedding Salad planned their dream wedding. While Fiestro events planned the various functions, The Wedding Salad captured all the moments at the lively events hosted at the Jai Mahal Palace in Jaipur. The gorgeous and fun colors used to set up the Mehndi canopy were gleaming in the sun with their bright hues. The bride wore a stunning shade of yellow complimenting the groom’s beige and gold outfit. The games arranged at the ceremony kept the guests entertained. The colorful drapes, railings wrapped in flowers and accents made out of the vibrant marigold blooms made for a vivid backdrop. The Cocktail bash was a classic soiree for the couple and their guests to lounge around and unwind before the excitement for the big day began. Sneha wore a glittery wine-colored gown and Anirudh looked dapper in his sleek black suit. The celebration was just like the couple had imagined it to be - Fun. 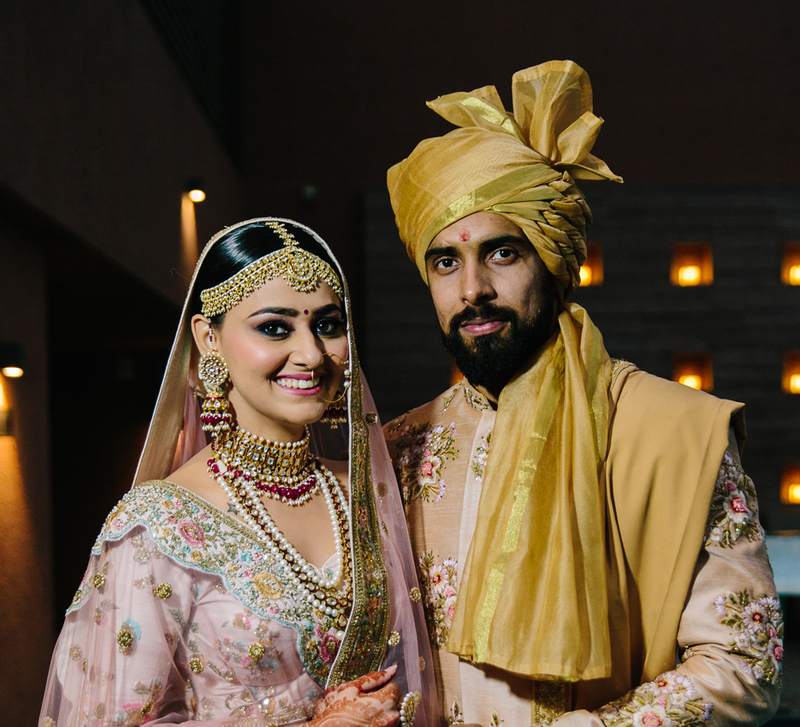 Sneha and Anirudh wanted the wedding to be synonymous with elegance and it was just that! 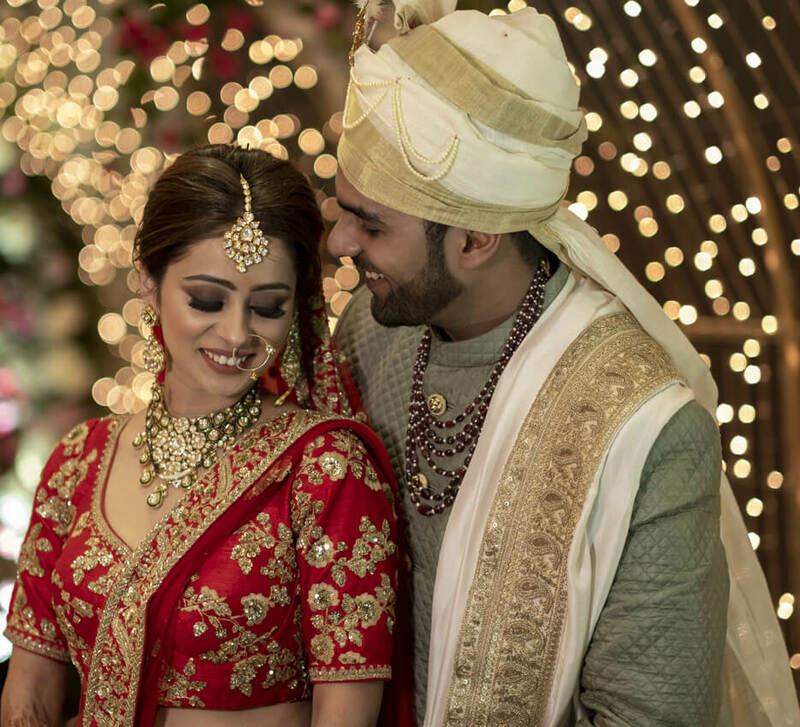 The bride was a stunner in a traditional red lehenga while the groom took a contemporary route with a floral touch to his outfit. Sneha looked every bit the blushing bride. When we asked Anirudh about his most favorite moment from the wedding, he said, “On the wedding day, when I was waiting at the spot for the Varmala and saw Sneha, I finally understood the meaning of the phrase, ‘skipping a heartbeat’!” The Varmala ceremony was orchestrated on an elevated platform as the bride and groom stood surrounded by the Baaratis. The sparklers went off right when the couple exchanged the garlands making it a captivating moment. WeddingSutra Favorite The Wedding Salad captured the spellbinding moment into the perfect shot. 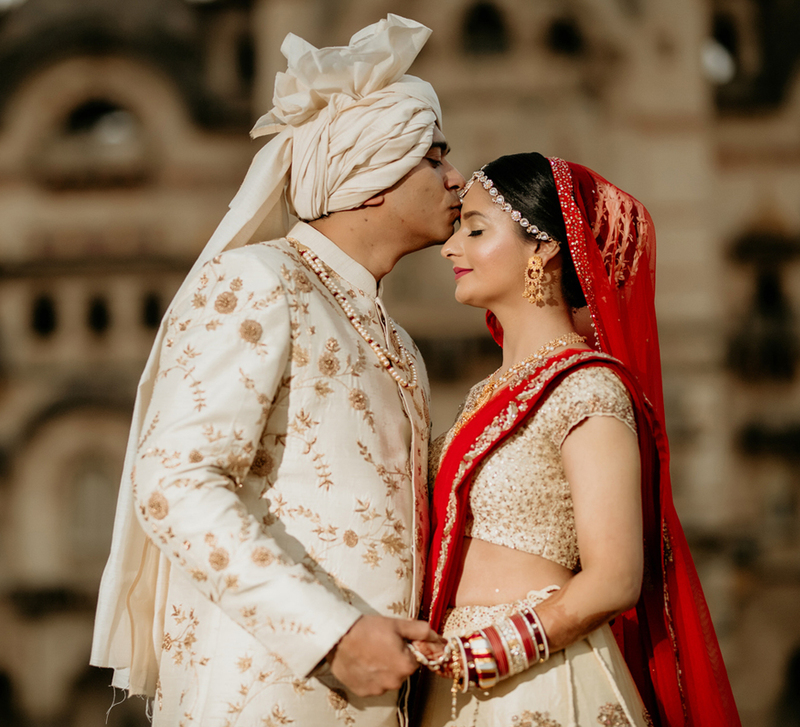 A beautiful canopy was set up by WeddingSutra Favorite Fiestro Events for the pheras, all for the much-in-love duo to begin their future on an auspicious and happy note.